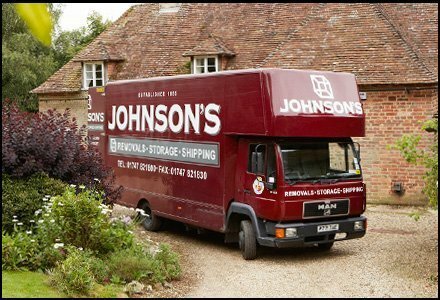 For all large item moving and home removals Sherborne residents can count on Johnsons to get the job done. Whether you are changing address or need a single item transported, our team of professional movers will be happy to help. Our service can be tailored to suit your needs, so whether you want the full house removal service including packing and dismantling, or a simple hire of a man and van Sherborne residents can find the perfect solution with us. Whether you are moving out of the lovely village of Sherborne or into it, ours is the removals company Sherborne residents can trust. With years of experience behind us and plenty of satisfied customers, you can be confident we will get your belongings safely to their new home, whether that’s 100 miles away or 100 yards down the road. As well as doing removals Sherborne residents have come to count on us for collection and delivery or large or bulky items. With many of us living on a tight budget, the second hand market for household goods is thriving. But items such as like fridges, freezers, sofas and beds are all too large and cumbersome to fit in most family cars, and that’s where our man and van Sherborne service is the perfect solution. Using a self-storage unit can help free up the space you need at home, without having to part with your belongings permanently. If you are looking for a storage removals company Sherborne offers none better than ours. Our movers can help advise on packing for storage, as well as what can and can’t be stored, and will ensure your items are safely transported to your unit and packed securely and efficiently in there.